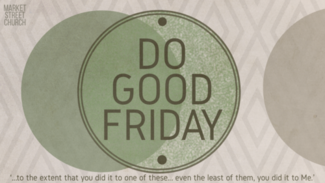 Although we have traditions to gather in our building on Good Friday, we have been challenged to love like Jesus has loved us SO… LET’s DO GOOD FRIDAY! Below you can sign up for 2 different times and locations to serve our community and our church! Thank you in advance for being a part! Teresa, Crissy, and Mya will be with me as well. We are looking forward to it.